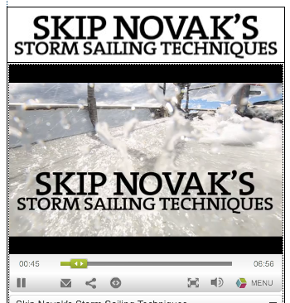 Continuing on the "Thunderstorm, Gales etc ..." previous posting it is worth following the 12 videos serie on Yachting World that will present Skip NOVAK's storm sailing technics around ... Cape Horn. Click to access the Yachting World page. And for those who intend to sail the Patagonian canals (as the 2015 World ARC will do), Skip NOVAK will talk at the Southampton Boat Show.